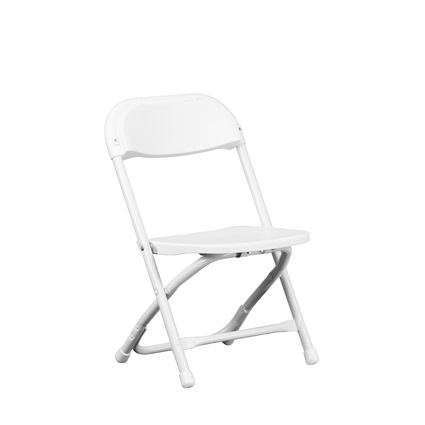 This is your standard white folding rental chair but kids size. It's has a white powder coated 18 gauge steel frame with white plastic seat and back. This chair is a timeless classic for all types of events.